This is a superb piece of gorgeous rounded Shattuckite nodules on matrix. This piece was mined in the Kuene Region of Namibia and just look at the wonderful blue colour of that Shattuckite ! It's not enough that the front of the rock is covered in these wonderful natural crystals but look at the back and you can see that the rock has a blue vein of Shattuckite running through it too ! A great spiritual and metaphysical crystal to work with. 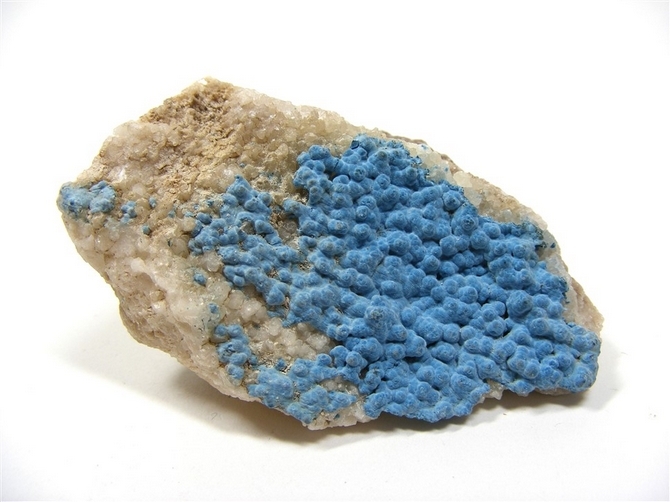 Shattuckite is said to help blood to coagulate and can be useful in the treatment of tonsillitis. In addition, it is an extremely useful stone for all minor health complaints. Shattuckite promotes our inner strength and courage to deal with the stressful situations of life. It can also aid us intellectuality by helping us to remember and process very large quantities of information. Above all else, Shattuckite is considered as a very spiritual stone and one that can help you to put into clear and concise words any physic visions and/or other worldly contacts that you may have seen or experienced. Shattuckite doesn't in itself get you to that experience, but once you have experienced it, Shattuckite will help you to clearly describe it. 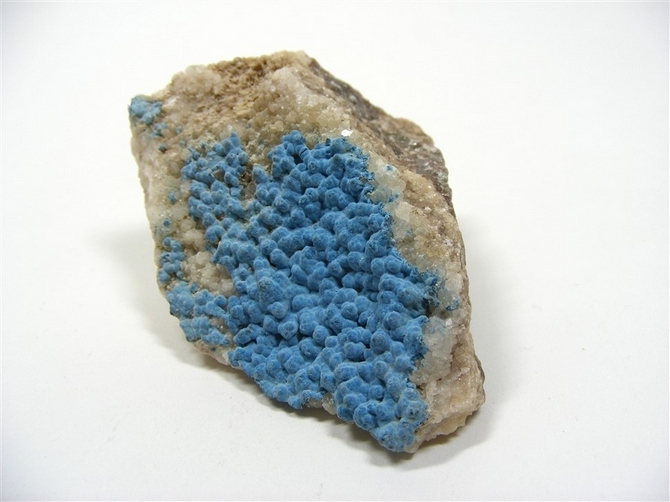 Shattuckite is extremely useful when channeling information from the spirit world and also offers protection from possession whilst you are channeling. Shattuckite increases your ability to engage in automatic writing and it will also help you to better study the art of astrology.